This may or may not have any bearing on the accuracy of the information released, but knowing that this was paid opposition research from the Clinton camp could cast doubts on its credibility. We will hopefully know more about the accuracy of the report after investigations by Robert Muller and the Congressional investigations are completed. At this time questions about money laundering and other financial crimes involving Donald Trump, his family, and associates appear to be more credible than claims of collusion between Trump and Russia to alter the election results (not that Trump’s family wasn’t interested if Russia had something to offer). While some items have been found to be true, much of the information in the dossier has not been independently verified. Today’s revelation of Clinton’s involvement in funding the dossier must cast doubt as to whether its claims such as ties between Russian intelligence and the Trump campaign are true, especially in light of how Shattered revealed that Clinton had latched onto the claim that Russia was responsible within twenty-four hours of her loss to distract from the many mistakes made by her campaign which were the more likely cause of her loss. Even former Clinton strategist Mark Penn recently disputed the claims that Russia caused Clinton to lost the election. The Russia hysteria being generated by Clinton’s claims has undermined the credibility of the US electoral process with Clinton and many of her supporters making unsubstantiated claims that the election was stolen, been used as justification for restrictions on internet freedom, and has fueled Cold War style hostilities which feed into the goals of Clinton’s neocon allies for increased hostilities towards Russia. 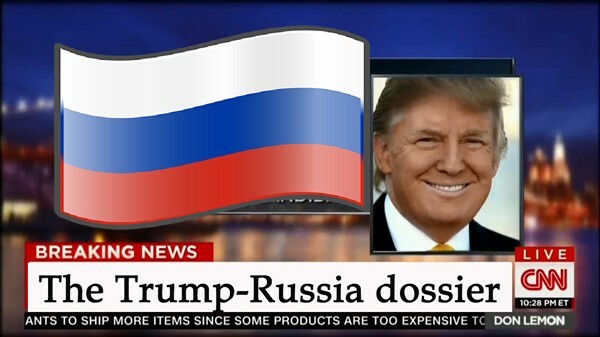 As opposition research can be biased towards the desired conclusions of those paying for the report, the information in the dossier now must be considered to be based upon partisan bias until the claims are independently verified. On the other hand, the decisions announced today by the House to launch two investigations of Hillary Clinton will also be seen as based upon partisanship. This includes investigations regarding the Justice Department’s handling of the Clinton investigation and the sale of uranium mines. The later comes after a recent report providing new accusations of Russian bribes to the Clintons while the matter was being reviewed at the State Department. While there is undoubtedly plenty to investigate in the conduct of Hillary Clinton, especially her influence peddling at the State Department, it is questionable whether the Republican House can be trusted to conduct a meaningful hearing after how they handled Benghazi. Posted in Bill Clinton, Congress, Donald Trump, Hillary Clinton, Scandals. Tags: Benghazi, Bill Clinton, Democrats, Donald Trump, Hillary Clinton, Robert Mueller, Russia, Scandals. RSS feed for comments on this post.. TrackBack URL. Its called opposition research you dunderheads. Damn you have a madman in control of nukes and you people still let your hatred of Hillary over rule all sense. Yes, it is now shown to be opposition research, and not paid for by third parties as the Clinton supporters and DNC dishonestly tried to pass it off as. Any objective person would now have doubts about its credibility, especially with Clinton’s long history of proven dishonesty, but you allow your blind partisanship to rule over all sense–including continuing to confuse objectivity with hatred of Hillary. We also see that, despite all the claims that Trump’s alleged collaborating with a foreign country was beyond the pale, we now have a second example of the Clinton camp collaborating with foreigners to influence the US election. Plus this comes just after new reports on the Clintons taking bribes from Russia. I am very concerned about the madman in the White House but Clinton’s record on lying us into wars, along with her past positions on nuclear weapons, make the risk of nuclear annihilation even greater if that madwoman was in control of nukes and our foreign policy. I’m not going to waste time going through everything she has said as you have shown no interest in the facts, but I would point out her attacks on Obama in 2008 for saying he would take nuclear weapons off the table against al Qaeda. Imagine the partisan response if Donald Trump suggested using nuclear weapons against al Qaeda as Clinton did. Plus there are her threats to obliterate Iran and her push for a restoration of cold war hostilities towards Russia. Many military experts believe that her push for a no fly zone in Syria would have not only cost thousands of lives, but would have put us into direct military conflict with Russia. Trump is a moron, and certainly could get us into war out of stupidity, but the risk of war would be far higher from intentional actions from a warmonger such as Clinton. I am sorry but I could not find any attack on PBO taking nuclear weapons off the table against al Qaeda. By the afternoon, Clinton (N.Y.) had responded with an implicit rebuke. "Presidents should be careful at all times in discussing the use and nonuse of nuclear weapons," she said, adding that she would not answer hypothetical questions about the use of nuclear force. "Presidents since the Cold War have used nuclear deterrents to keep the peace, and I don't believe any president should make blanket statements with the regard to use or nonuse," Clinton said. Actually that has been official US policy . That argument doesn’t hold up considering how Clinton attacked Trump over his statements regarding not wanting to take nuclear weapons off the table. Getting back to your initial comment, "Its called opposition research." Yes, but it is also called election fraud since the Clinton's and the DNC both failed to disclose this campaign spending, and subsequently lied about their role in financing it.